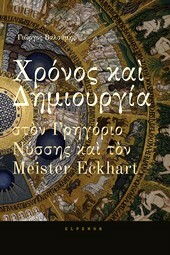 Ιn addition, an objection exists against the aforesaid Eckhart that he preached two other articles under these words. The first article. There is something in the soul that is uncreated and not capable of creation; if the whole soul were such, it would be uncreated and not capable of creation, and this is the intellect. 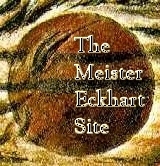 This is another crucial point, where Eckhart emphasizes what is absolutely necessary to our salvation, while the Pope condemns it, being afraid that man (the dirty creature...) might be thus lifted up – not realizing that denying this, is denying the creation of man in the Image of God, is denying the possibility to happen what Christ said: When ye have lifted up the Son of man, then shall ye know that I am he. Is the Image of God something created? Even the Pope would not say so. Yet the uncreated Image is into the created soul! How is it possible for eternity to exist into a timely creature? This is what became a scandal for the Pope, while he could have thought, before he condemned Eckhart, how is it possible for God to become a man, how the divine nature is united with man, how God exists in the world, etc. It's another thing to ignore, and another thing to condemn people because of your ignorance.